Set up two grids, 25m x 10m with a goal at either end. One Attacker, One defender. The attacker with the ball is placed slightly ahead of the defender. 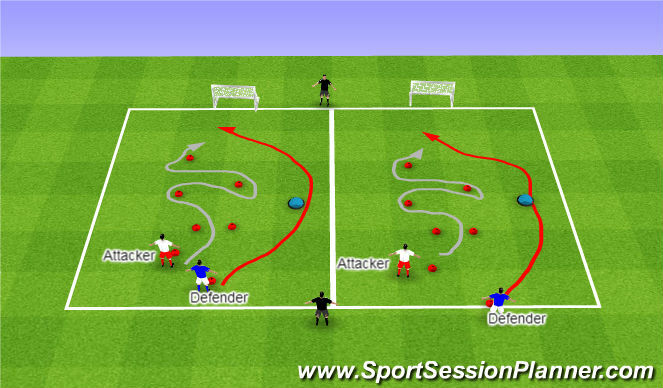 The Attacker most dribble throug the cones while the defender must run around the outside cone. 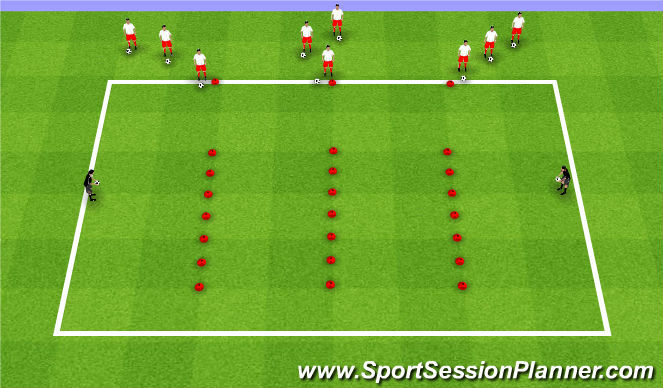 Ensure all players have a turn in being the defender.